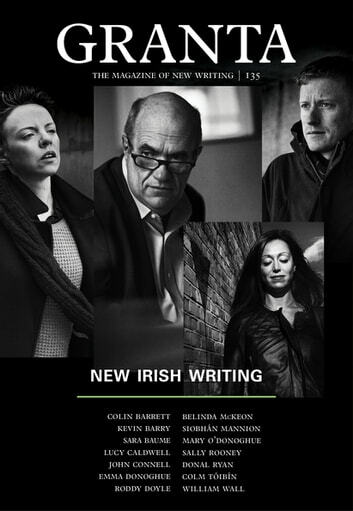 Granta 135 is a snapshot of contemporary Ireland, which shows where one of the world's most distinguished and independent literary traditions is today. Here international stars rub shoulders with a new generation of talent from a country which keeps producing exceptional writers. This issue features Kevin Barry on Cork, 'as intimate and homicidal as a little Marseille'; Lucy Caldwell imagining forbidden first love in Belfast; an exclusive extract of Colm T�ib�n's next novel, about growing up in the shadow of a famous father; fiction from Emma Donoghue about Victorian Ireland's miraculous fasting girls; and Sara Baume describing the wild allure and threat of the rural landscape. Also featuring fiction from Colin Barrett, John Connell, Mary O'Donoghue, Roddy Doyle, Siobh�n Mannion, Belinda McKeon, Sally Rooney, Donal Ryan and William Wall; poetry from Tara Bergin, Leontia Flynn and Stephen Sexton; photography by Doug DuBois, Stephen Dock and Birte Kaufmann; with original portraits of the authors in their environment by acclaimed street photographer Eamonn Doyle. I Wonder What I’m Thinking About?